St. Louis is known for many things. Beer (the most important), Cardinals baseball, Blues hockey (Go Hawks) and of course the St. Louis Arch. The next New Band To Bun One To is also from St. Louis. 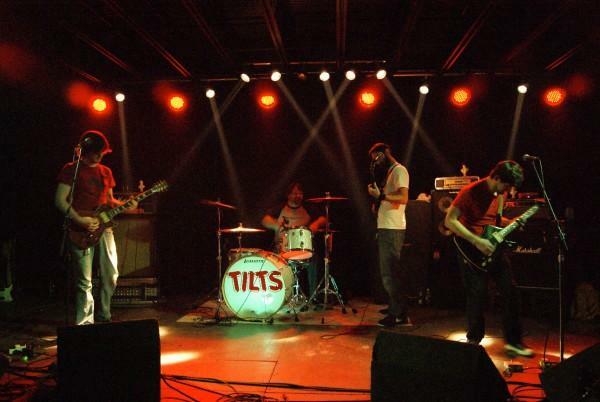 The band is called the Tilts. This four piece plays a wicked style of classic rock.They remind me a little bit of Queen, some Led Zeppelin, some Humble Pie and even The Who. To date the band has released 3 EPs all within a year. The latest, Contractors to Her Majesty's Forces, was just released last week. It's quite the accomplishment for a band that formed in the summer of 2009. To get together and record and publish as much as they have. It shows that they are in it for the love of the music and they enjoy doing it. It really shows and comes out in their sound. The dudes of Tilts have known each other a very long time. Long enough to be like brothers n' such. Features ex-members of Shame Club, Riddle of Steel, and current members of Gold Tooth, The Balloons, The Lovely Lads, Avalon Chimney and Lamar Latrell among many others. You can sample their tunes on Bandcamp and Myspace. If you want to get your own copy, contact the band and they'll let you know how to do so.